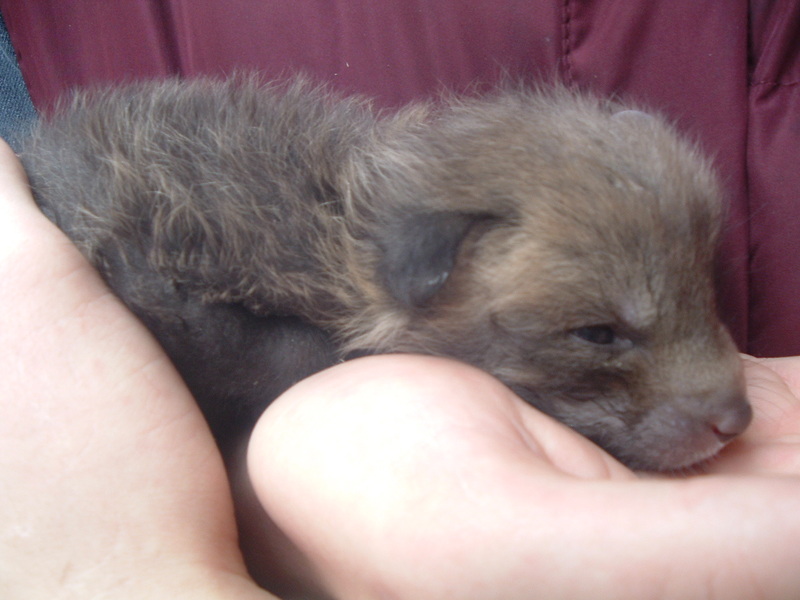 So far, there are ten orphaned fox pups here. All of these pups now have a family, including a wonderful old fox that mothers them and makes sure they grow up fearing humans. Our pups often grow to be larger than the other wild pups the same age. We attribute that to excellent diet, room to play and grow and Heather, our old female that mothers them. What a difference it all makes. 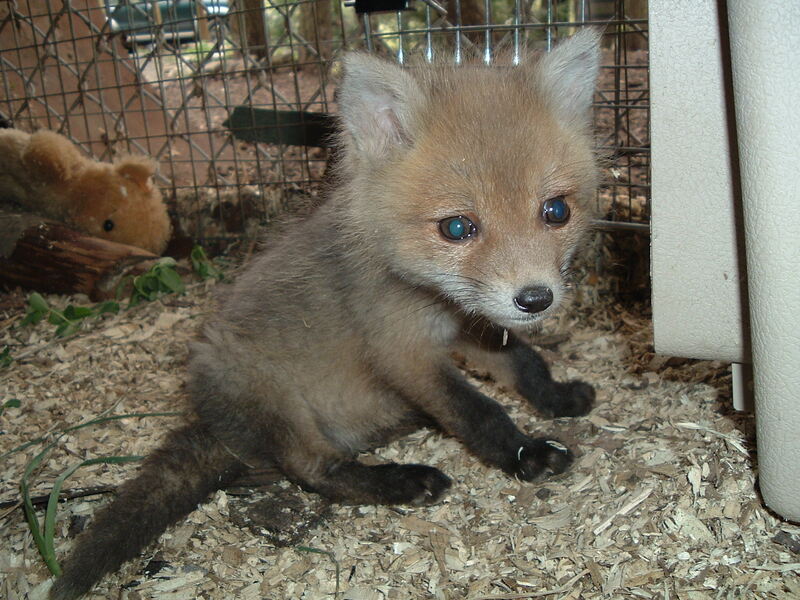 The most brilliant fox I ever met came in as a pup that was believed to be blind. Everyone including myself felt certain that she could at least see shadows, as she would jump on things, pounce on insects and harass the other pups endlessly . A visit to Animal Eye Specialist Dr. Kimberly Stanz revealed that she was indeed completely blind, not even having pupils. Her other senses were extremely acute, and that was why we all had been led to believe she could see something! 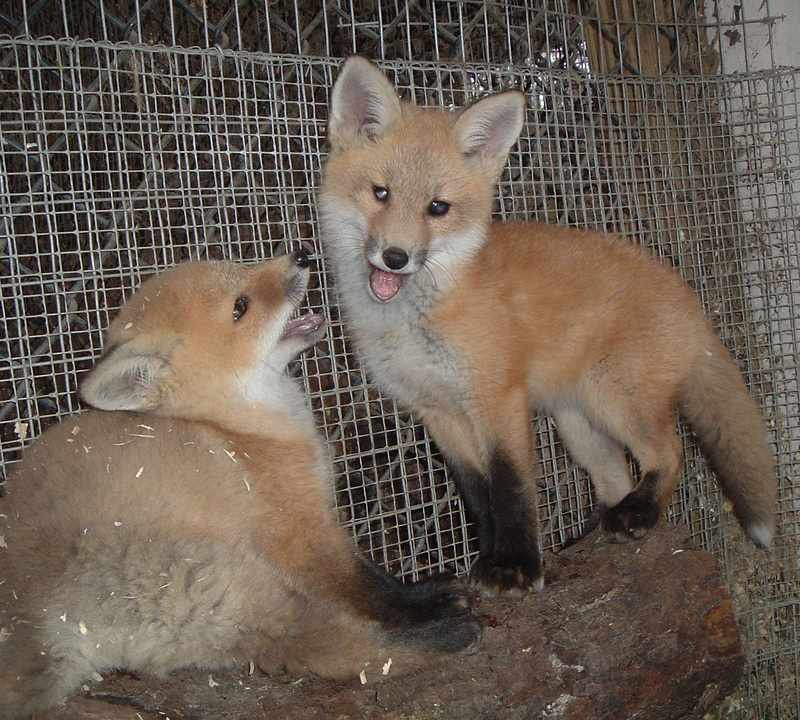 The Maine Wildlife Park in York, Maine had contacted me early that spring wanting two Red fox pups for their beautiful new fox exhibit. I told them about the blind fox pup. They were skeptical saying that the enclosure was very large and that a blind fox could never navigate it well. I assured them that this pup was exceptional and that if they try her out, I would always take her back if she didn’t work out. It was a no-risk situation for them. 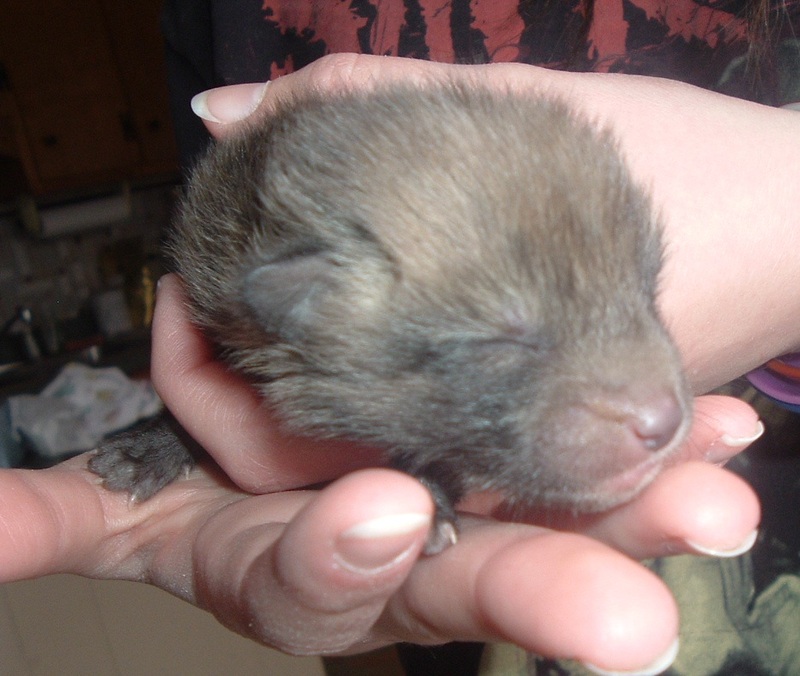 We decided to give it a try and the blind fox was sent to Maine, along with a gorgeous male pup with head and spinal injuries that would never be releasable. When the pups arrived, the park officials quickly realized that the blind pup was no ordinary fox and that she would flourish there. During the initial observation period before going into the new enclosure, the keepers became concerned about the male as he seemed withdrawn and they thought that he couldn’t stand on his back legs. I told them he had no problem running and playing here and suggested perhaps he was depressed? 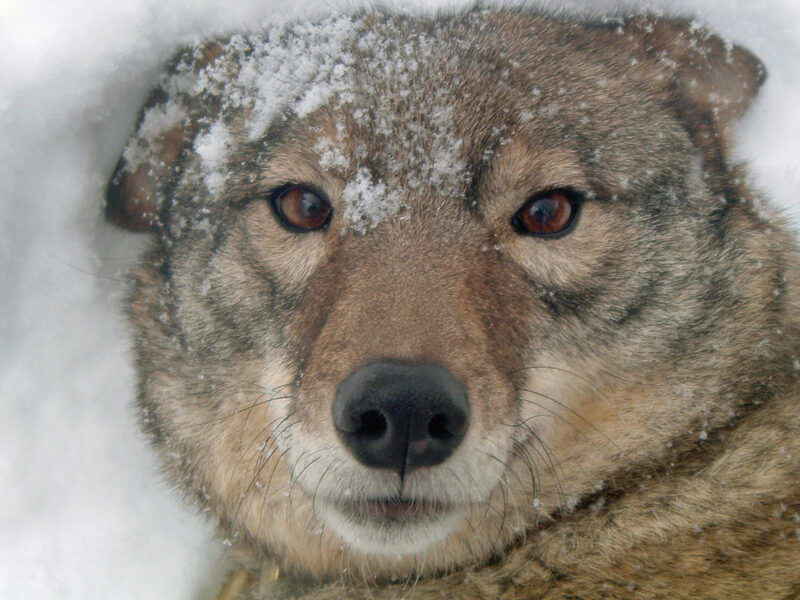 Once the pups were allowed into the new enclosure everything changed. The pup they thought was crippled and withdrawn started running, leaping , pouncing and playing . The blind pup very quickly came to know and command her surroundings. No visitors to the park can tell she is blind! 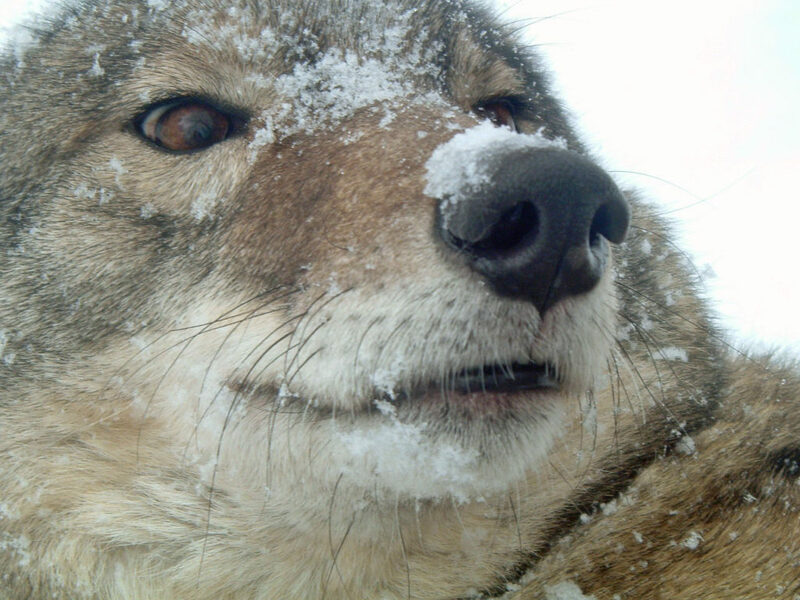 If you are in Maine, please make it a point to Visit the Maine Wildlife Park ! 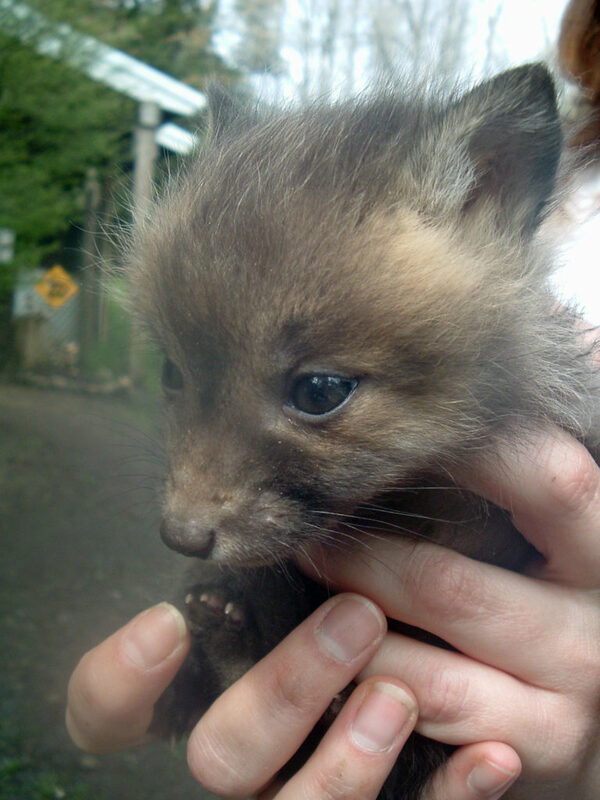 You may remember the story of Peewee, the tiny fox pup that was very tame and had crooked bones. It was very tempting to keep this little guy. But the right thing to do was to give him a chance to be a wild fox. Our goal was to fix his health woes, achieve some good strong bone growth and encourage him to want to spend time with foxes, not humans. 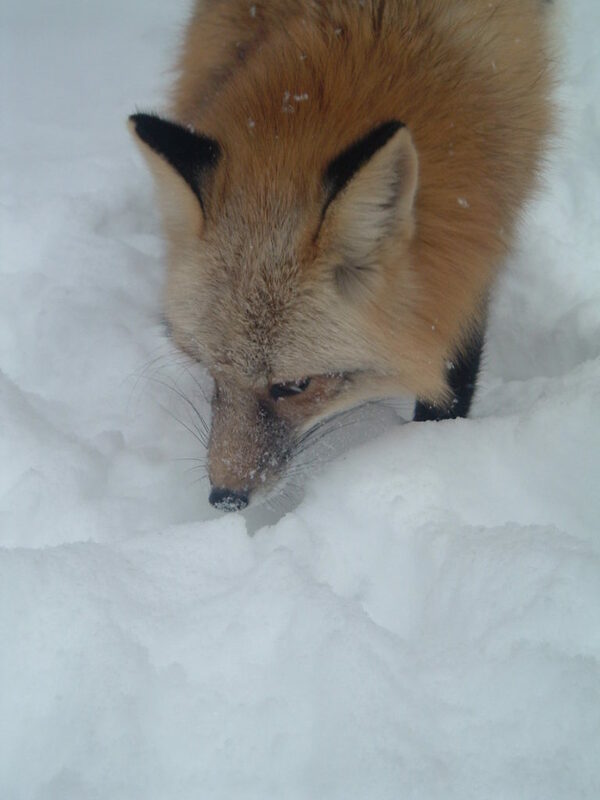 We enlisted the help “ Trixi”, our 14 year old “mother fox”. She took right over and immediately discouraged Peewee from greeting humans. She did this by issuing a warning bark whenever he greeted me with his usual “Love me! Pick me up ! Aren’t I cute?” fashion. He was torn- he instinctively knew what the bark meant, but he loved humans so much. I did my part and ignored his antics and went about my business of feeding him nutritious food. As summer progressed, Peewee, who had been a fraction of the other pups size started to grow and actually surpassed the other pups in size! 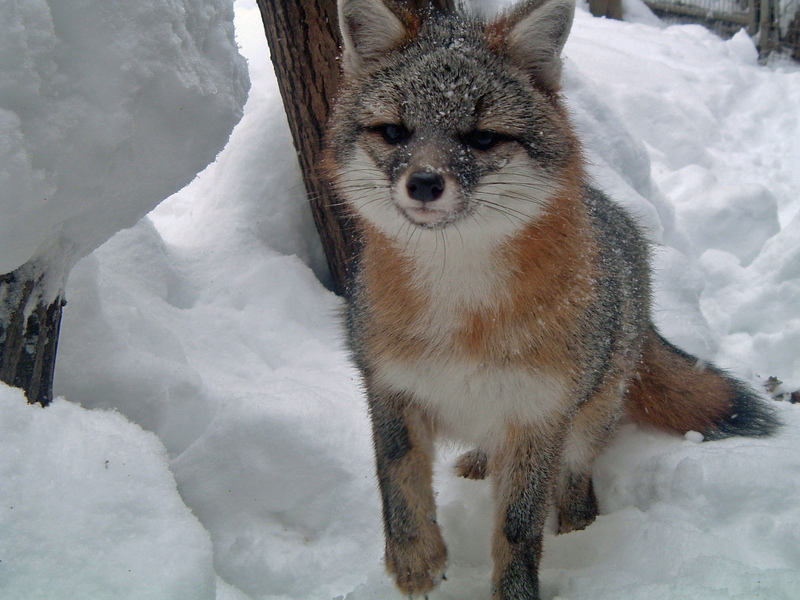 He no longer preferred the presence of humans and wanted to be a wild and free fox. He was released with the others at a remote soft release location. Freedom is the greatest gift you can give a healthy wild animal. Trixi Humanely Euthanized at 16 yrs. It was clear Friday morning that Trixi’s time had come. 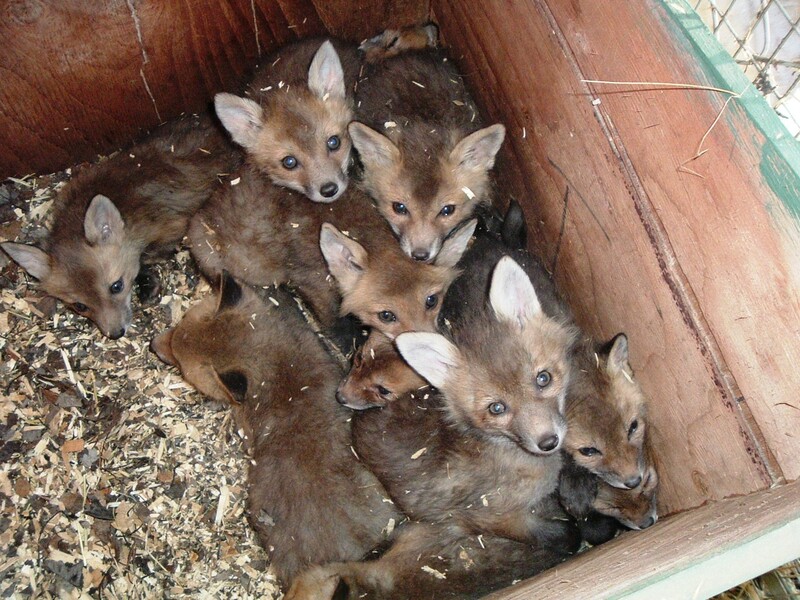 She had lived a long, happy and useful life here at Fox Wood, being a foster mom for lonely orphaned wild fox pups. You should have seen the babies reactions when Trixi entered the pen every Spring! They loved their new Mom and she loved them back. It was often difficult to get Trixi to eat enough during the summers and she would always lose weight because at feeding time, she would pick up the food and give it all to the babies rather than eat any herself. Trixi would always get a bit depressed at the end of summer when the pups were taken to the soft-release site. What a wonderful fox she was! We will never be able to replace her as the loving Momma to the babies. God Bless you Trixi!